❤ Please Note: The cord is 12.5 Ft long for portable use, it would be a little short if you have a big room. It’s recommended to use power strip as an extension cord, thanks! 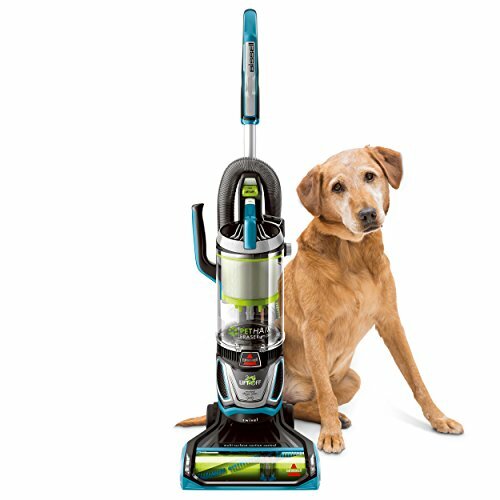 Weighing only at 3.7 pounds, easier than ever to clean up-and-down stairs or under furniture with its flexible swivel handle. The extended 12.5 Ft cord allows cleaning of an entire bedroom, living room or kitchen without worrying about battery life. 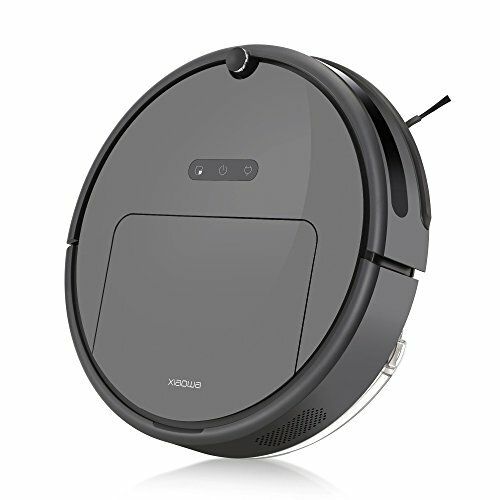 The cleaner featured high temperature, over voltage and super heat protection, which will automatically shut down and power off immediately when temp up to 110±5℃to keep cleaning safety. 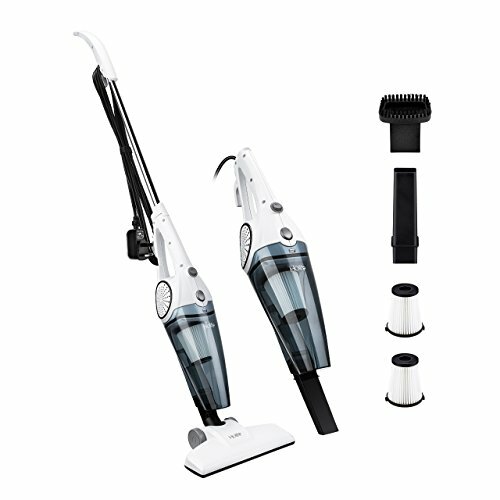 The vacuum comes with a removable 0.8L dust container, 25% larger than ordinary dust container capacity, easy to empty the contents and disassembled for cleaning tangled hairs, dust, etc. Step 1: Open the lock catch on the back of handle. Step 2: Insert the extension handle pole. Step 3: Press firmly on the lock catch. Step 4: Attach the floor brush firmly insert dust canister hole. 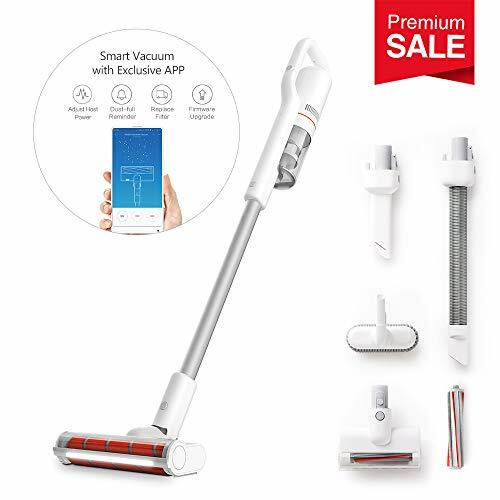 【CORDED STICK VACUUM & HANDHELD VACUUM 2-IN-1】 The detachable extended handle design supports free transforms to stick vacuum & handheld vacuum cleaner anywhere without distance restrictions. 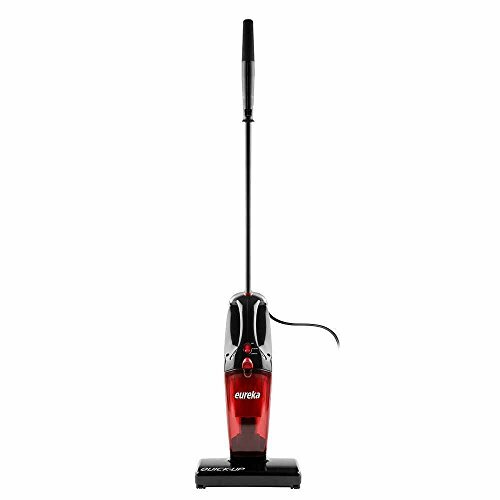 With the convenient stick vacuum cleaner, dust and debris on furniture or stairs can be quick clean up. Equipped with various attachments to make it clean well in corners, upholstery, under cupboards, above tall shelves, carpets. 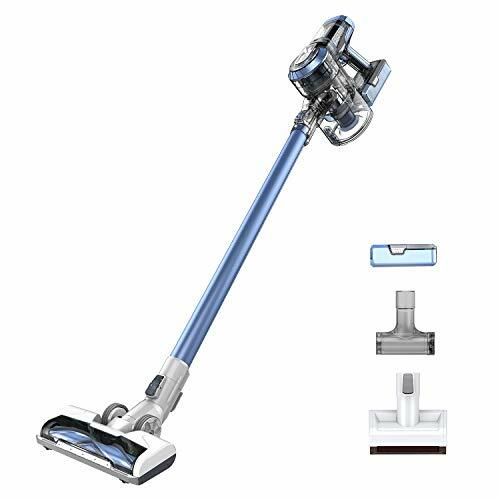 【USEFUL 4-IN-1 DUST-AWAY ACCESSORIES】 Besides the removable floor brush, the stick vacuum cleaner also comes with a crevice tool and dust brush for your different cleaning requirements such as carpets, floors, kitchen, bathroom, ovens, etc. 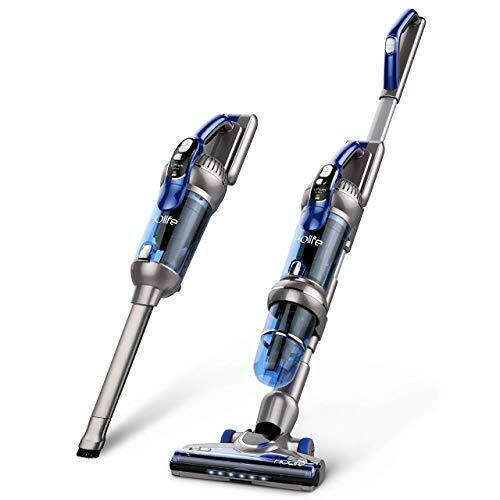 Crevice tool for reaching debris in tight corners & spaces with ease; Dusting brush for easily picking up hair or dirt on delicate surfaces & upholstery; Floor brush for cleaning dust, dog cat pet hair, carpets, etc. 【360° FLEXIBLE HANDLE】 It’s steerable and twistable handle can be rotated 360 degrees on left and right, 90 degrees on front and back to give you access to easily get under cabinets and corners. So convenient swivel handle caters to different groups and helps you save more time. 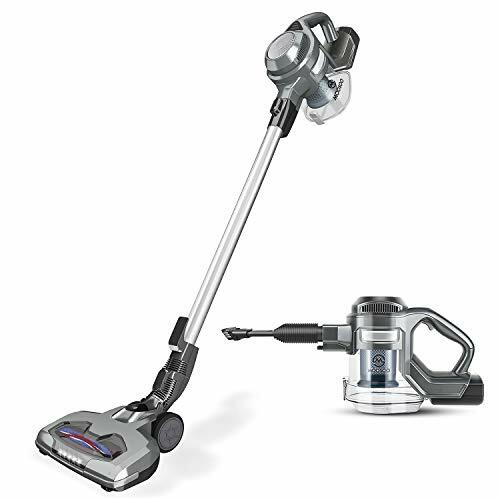 The dust vacuum cleaner is lightweight and portable to use. Free your movement and easy to clean stairs, kitchen, hard to reach corners and wall edges.